7.5 litre anodised water tank. Pre-score vinyls to allow the steam to penetrate. For faster removal move the steamplate slowly along the paper and follow with scraper. 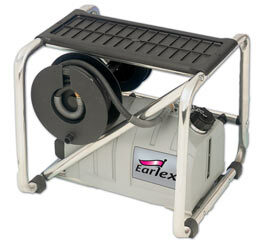 Use Earlex steam cleaning accessories to get the best from your stripper. This item can be used in conjuction with roller spiker at an additional charge.